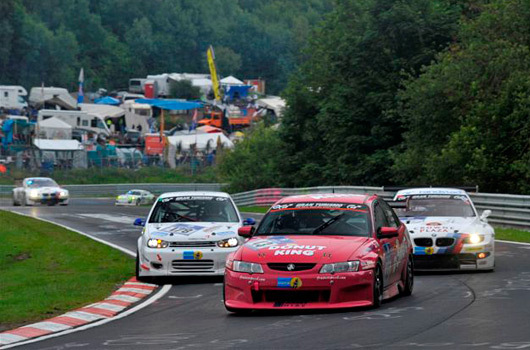 A quick shout out for Mal Rose who is about to tackle the Green Hell for his tenth Nürburgring 24 hour race in a row. 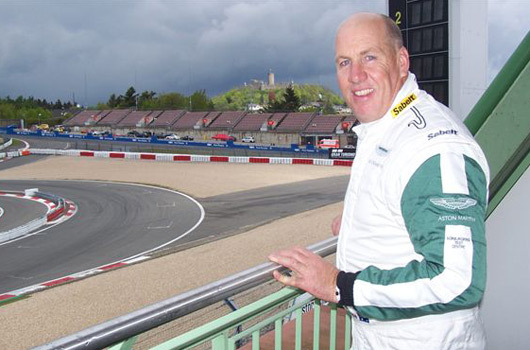 That’s a fine achievement for any racer and even more admirable for the fact Mal travels half way around the world to compete. 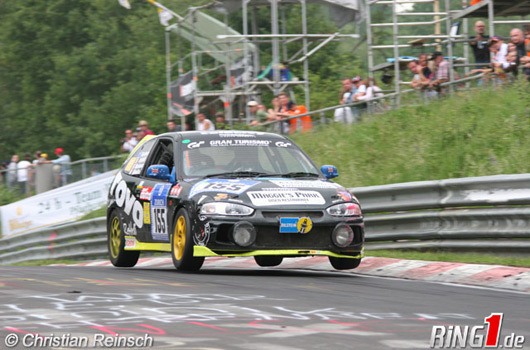 It all started in 2004 by shipping three Mirage Cup Cars to Germany after our successful run at the 2002 and 2003 Bathurst 24hr events, I found these cars could do almost 24hr without a brake pad or tyre change! 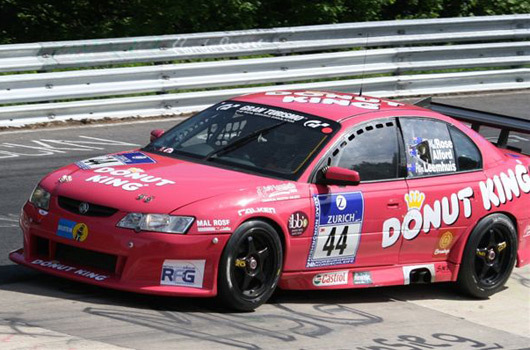 So in 2006 we turned up in a slightly modified V8 Supercar with 600hp on tap. 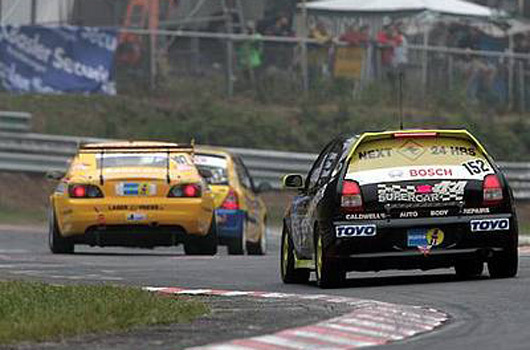 Unfortunately Adam had a minor crash and we went home to rebuild determined to complete the 2007 race. And we did! 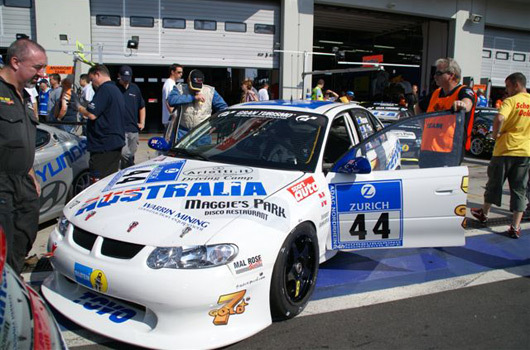 In 2008 I had purchased my own V8 Supercar from Garry Rogers and teamed up with Peter and Tony to enjoy the best 24hr endurance race in the world for GT and touring cars. 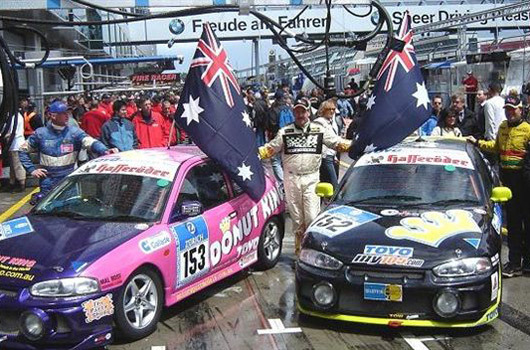 We again raced in 2009 with my V8 Holden and during the race we had a clutch slipping. We took the time to fix it and even though we ran for the final hour and I crossed the line we were classified as non-finishers. 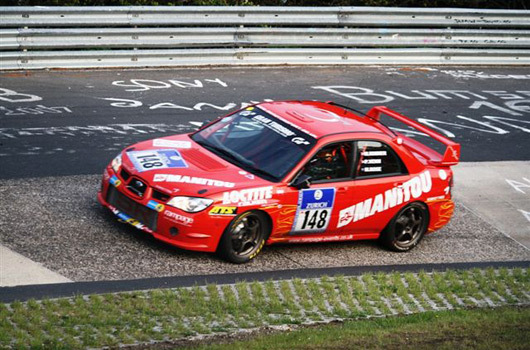 Then in 2010 I teamed up for the first time in another team, this time a Subaru STi with Mike Rimmer and Peter Venn. This would be another challenge as it was left-hand drive and all-wheel drive, all new to me! 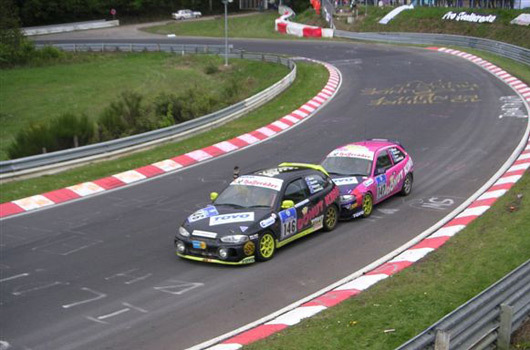 We had a great race with some 30 cars in our class. 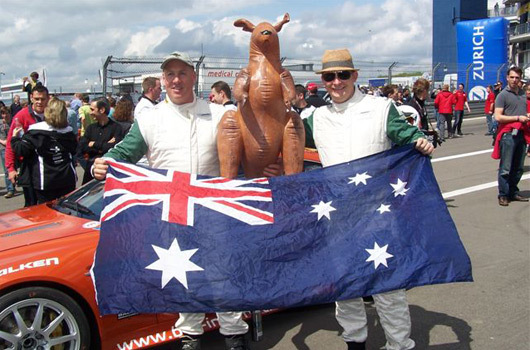 In 2011 again I took back my V8 Holden with Peter and Damien. 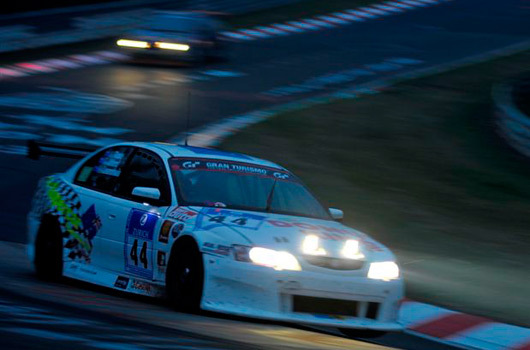 The car had just raced in the Spa-Francorchamps 12hr race in Belgium the weekend before and without going into too much detail the engine overheated and we packed up and went home to work the problem out. 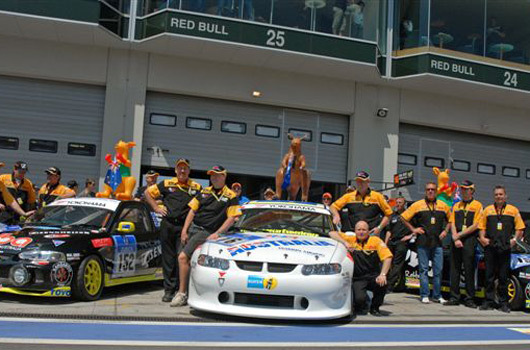 The car was rebuilt and raced eariler this year in the 2013 Bathurst 12hr (we won our class and finished 12th). 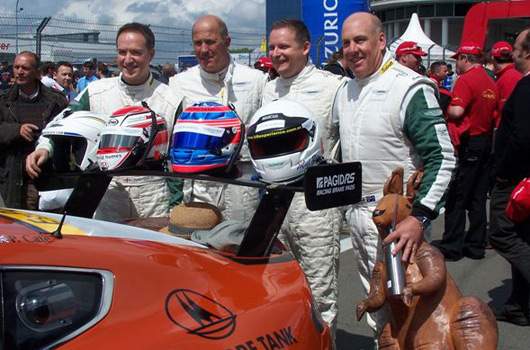 Last year the opportunity came up to race for a factory team with the Aston Martin Test Centre based at the Nurburgring. 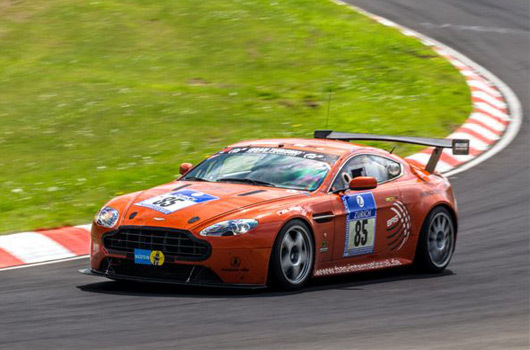 I was competing in a V8 Vantage with 4.7 litre engine, paddle shift, ABS, traction control and of course left-hand drive. 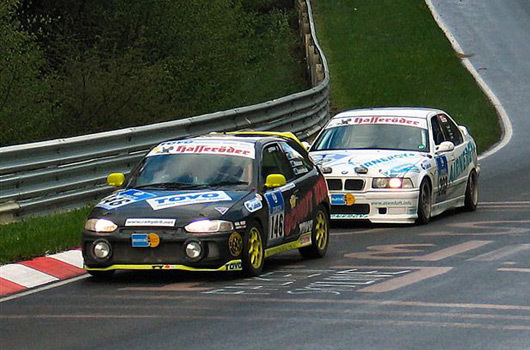 We finished third in class and 33rd outright. 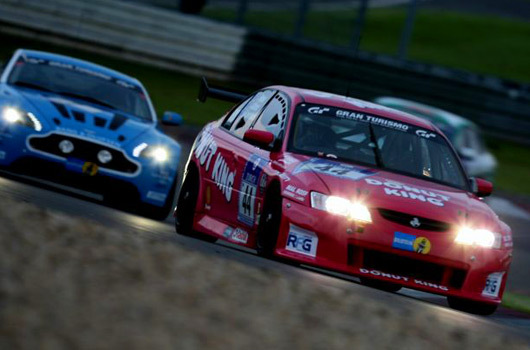 Now, for my tenth race I’m back with Aston Martin again. It’s special, too, because it’s Aston Martin’s 100th anniversary. Let’s hope we can maintain Aston’s 100 per cent finishing record. Hear, hear. All the best to Mal and his teammates.